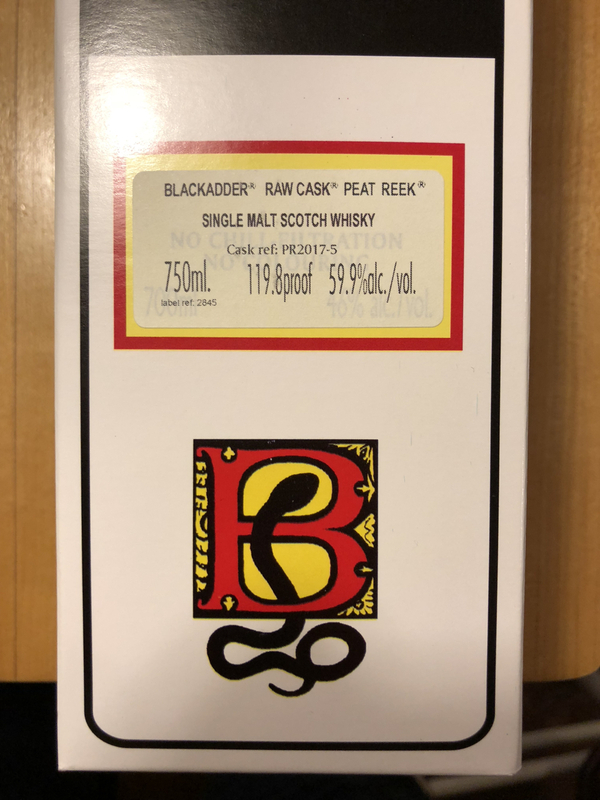 I'd always thought Blackadder's Peat Reeks were from Islay. And I was wrong. Batch PR 2017-5 was sourced from The Highlands. 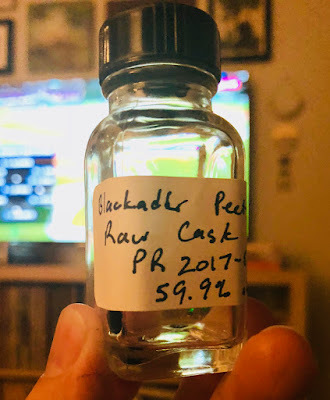 While my sample of Wednesday's Peat's Beast came from the LA Scotch Club, today's sample of Peat Reek Raw Dog is from the Columbus Scotch Club. My guess was that Peat's Beast was sourced from Benriach, this Reek could be from a number of distilleries due its violent youth. Partaking in both peated whiskies while watching the All Star game, I was surprised by which of the whiskies I enjoyed more. Caramel, butter and salt in the nose. More floral and ocean-y than medicinal. Sugary peat. Peach-scented hand lotion. The palate is hot, chalky, green and tart. Ginger, charred meat and eucalyptus. Grows sweeter and bitterer with time. The hotter, smokier finish is lightly tart and very drying. The sweetness gets aggressive after a while. The nose now has some plums, but also soap. Ash and mild peat. Vanilla, eucalyptus and berry candy. Meanwhile, the palate works better at this strength. Less sweetness. A fruitier tartness (if that makes sense). Chocolate. Lime marshmallows. The finish seems longer. It has the lime marshmallow sweetness and a little bit of smoke. Not enjoyable when neat, this batch of Peat Reek is a better drinker once diluted. But I wasn't crazy about the nose with or without dilution. 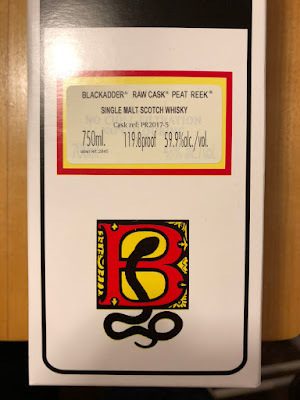 There's not much more to write about, other than this was my first Peat Reek and I'm not inspired to try another batch. It's not really peaty and it's par-baked. Was there such demand for this series that another batch needed to be rushed? Pricing - from $70 to $100 WHY WOULD ANYONE PAY $100 FOR THIS?